Blue Horizon offers an inviting ambiance near the clubs and restaurants of St. Lawrence Gap. Blue Horizon, in its fruit flavored colors, is an inviting ambiance. 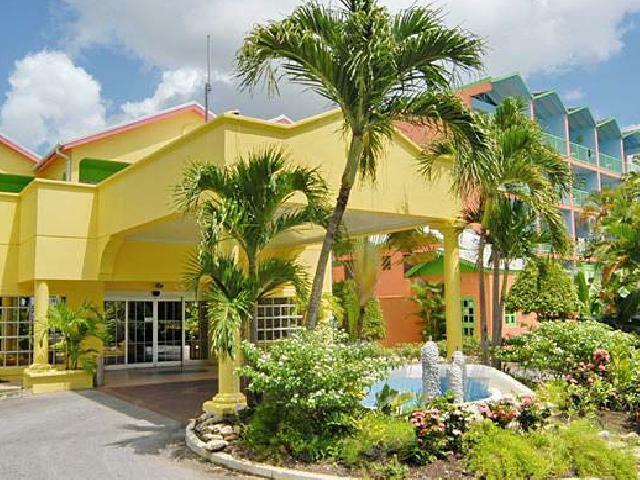 Nearby are the clubs and restaurants galore of St. Lawrence Gap and shopping malls, banks, laundries and florists are all within walking distance. Situated across the street from the lively, Rockley Beach where boogie-boarding waves abound, it is within easy access of horseback riding, tennis, and special rate golf. Rockley Beach is noted also for its excellent scuba diving, snorkeling, windsurfing, sailing and boat cruises. For those with a business agenda, Blue Horizon provides meeting facilities in its on-site conference centre. The facility, outfitted with rear projection and TV/VCR, is capable of seating up to fifty persons in theatre style. The business center provides access to two computer terminals with internet. Fax and photocopying are also available. This Gem of Barbados is located on the South Coast of Barbados. Hotel offers discounted Green Fees, preferred tee times and complimentary transfers to Barbados Golf Club. There is a weekly Manager’s cocktail party and theme nights for entertainment on the poperty. Blue Horizon has one swimming pool on the property and is located across the street from Rockley Beach. FAP - Breakfast, Lunch & Dinner. Hotel offers car rental service, business centre, conference room, express check-out, laundry, parking, safe, wake-up service, disabled access, childcare, copying services, Doctor on-call and ice machine. The Courtyard Restaurant is located on a spacious outdoor patio by the pool. Delicious specialties are available, as well as an innovative combination of Creole and local cuisine. Theme nights are also offered under the stars highlighting a variety of savory international fare.